The following article, published in The Guardian and authored by Phillip Ball, is jaw-droppingly horrific in terms of how far we’ve strayed from the natural law, let alone God’s law, when it comes to bringing new human life into the world. What Catholics and most of the rest of the world once commonly referred to as “starting a family,” has become—for some—a mad, relentless quest for human perfection on earth. The reasons vary, from a misdirected desire to give one’s child “the best” in terms of longevity, brains and good health, to a diabolically-inspired insistence that anyone meeting a less than a self-determined standard of human perfection is not worth living. On one hand, modern scientific discoveries mentioned in the article about the formation of a new human life, DNA and genetics are truly fascinating and profoundly remarkable. We humans are indeed “fearfully and wonderfully made” as the Psalmist proclaimed. Of course, “made” is the word the modernists tend to forget. 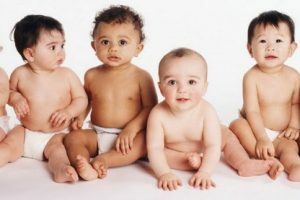 See for yourself, in this strongly secular-perspective article that considers the ethics of designer babies. “I don’t think we are going to see superman or a split in the species any time soon, because we just don’t know enough,” says Henry Greely, bioethicist .